The company's plans include explorations of machine learning, robotic process automation, blockchain and more. Zespri told investors last year it recognised the need to modernise and upgrade its information systems as the business grew and legacy systems no longer met its needs. The business had already embarked on major technology investments at the time as it gained confidence in the kiwifruit industry's recovery from the Psa virus infection. "Systems already upgraded include the planning and supply management system, the grower relations database and self-service web interface, and analytical capabilities," it said in its 2017 annual report. However, there was more work to be done. 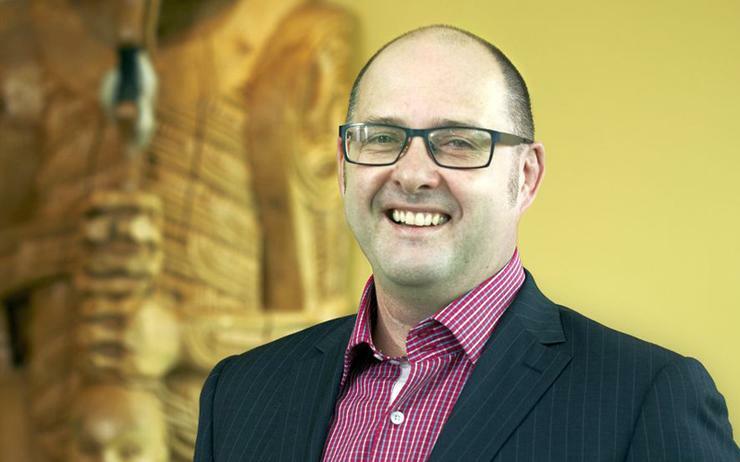 Over the next five years, Zespri said, it would invest a further $70 million to enhance information systems and technology "as a critical foundation for business performance". The report did not go into details, but Zespri's chief digital officer told Reseller News this week the $70 million was a combination of investments to be made to support the company's ambition to double in size by 2025. "In particular there are large investments in supply chain, analytics, industry ecosystem applications and marketing platforms to develop and improve our business process and develop new capabilities to better link growers and consumers to maximise value," Goodin said. Over the past two years, Zespri had invested in cloud infrastructure for cost improvement and scalability, Goodin said. Investment had also been made in planning systems to manage increased volumes and improved inventory management, alongside supplier relationship management tool-sets, including portals for improved reporting and industry engagement. Productivity tools such as Office 365 were also a focus to improve collaboration and information access from different locations. "We have also actively worked on integration as a service models for machine to machine data sharing," Goodin said. In the next few years Zespri plans to push further, reviewing its operating model with a particular focus on supply chain areas around track and trace, replacement of legacy applications and real-time data for enhanced decision making. Key challenges include legacy data models and processes, Goodin said, because these can be difficult to unravel. "The benefits will be streamlined process, improved information to make better decisions and greater information sharing with our partner ecosystems, via API platforms," he said. Zespri is also working on improving its people systems. "As we continue to grow and develop across different geographies, managing and leveraging staff talent and capabilities becomes more and more important," he said. "In addition we will evaluate marketing management and customer platforms to improve support of marketing and sales functions. "Our challenges here are around data collection - but the value is improved customer and consumer engagement to drive better accessibility and consumption of the worlds best kiwifruit." Goodin said huge shifts in technology made this the most "exciting time" to be involved in the digital space. "Currently we are working with a number of organisations on machine learning pilots, looking at orchard productivity examples," he said. Hackathons have revealed several potential uses of Microsoft's bot frameworks while robotic process automation is another area Zespri is experimenting with, especially in its supply chain. Blockchain is another opportunity with evaluations, in Zespri's supply chain again, covering food safety and document validity examples. "I think these capabilities play out across all areas of business process and functions now or certainly have the potential to do so," Goodin said. "A number of these newer technologies could prove useful to Zespri and growers, but we need to understand their application to drive improved value for growers and stakeholders." Zespri has been in Microsoft's Azure public cloud since 2014, after it claimed the world's largest production SAP platform migration with partner Datacom. Specifically, the business uses infrastructure-as-a-service (IaaS) and platform-as-a-service (PaaS) estensively already and is looking more and more to software-as-a-service (SaaS). Cloud and cloud integration are, therefore, a significant part of Zespri's overall strategy to allow it to to "flex, grow and adapt to evolving business strategies". "Data privacy and security of information are hugely important to Zespri and something we are actively working with partners to maintain," Goodin added. "This is a hugely important topic and, given the large amounts of big data available, a potential threat - in particular with the new GDPR regulations."